Known to millions as Mr. Dressup, Ernie Coombs' 32-year run on CBC made him a fixture in the hearts and minds of millions of Canadians. It’s March 6, 1994 and the Gemini Awards are in full swing in Toronto when backstage heads suddenly turn to a quiet man with horn-rimmed glasses entering the media room. Whispers become a murmur. If onlookers thought their childhood had flashed before their eyes, it had. 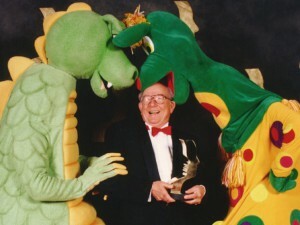 Ernie Coombs, or TV’s Mr. Dressup to an entire generation of Canadians, was collecting an Earle Grey Award for excellence in Canadian television. 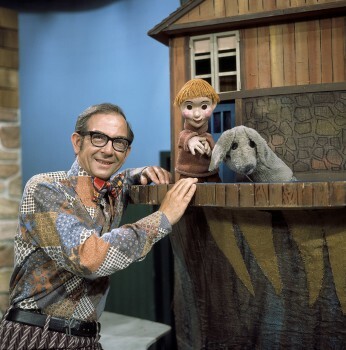 After coming through our TV screens for 32 years with song and stories, all eyes watched expectantly for Mr. Dressup’s Tickle Trunk to appear, or his faithful puppet friends Casey and Finnegan. When Coombs graciously acknowledged his backstage gawkers with that signature ear-to-ear smile, I too recalled my childhood, and that simple honky-tonk piano opening to Mr. Dressup that signaled is was 10:30 a.m. and time to let your imaginations run free with make-believe and crafts games. Cathie MacKinnon recalls an even larger outpouring of emotion and affection by Canadians for her father when news of his death due to complications from a stroke came on Sept. 18, 2001. ‘Everyone has their memory of Mr. Dressup, and what he meant to them growing up, and that’s amazing to me,’ Coombs’ daughter says. MacKinnon describes her father as no TV character, but a kind and good-natured man on and off camera. ‘There was not a huge distinction between Mr. Dressup and Ernie Coombs,’ she remembers. As a pioneer in Canadian kids TV, Coombs knew he’d lived a charmed life where all doors opened to him, MacKinnon adds. A year later, Rogers moved back to the U.S., while Coombs remained behind to help host the Butternut Square ensemble kids series. 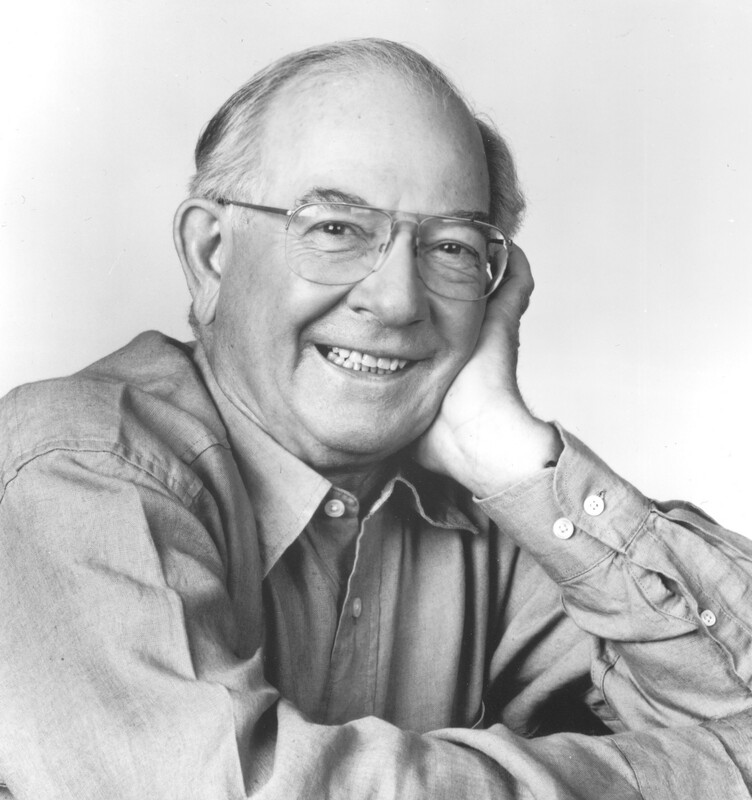 And by 1967, he had his own CBC show, Mr. Dressup, which continued on air until 1996, and then into reruns to 2006. MacKinnon says the success of Mr. Dressup came from its simplicity – Coombs donned simple costumes and led sing-a-alongs with puppet pals – which is in stark contrast to today’s slick and aggressive kids TV programming. 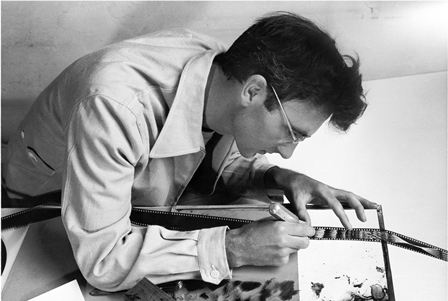 And he stayed true to that low-key, low-tech style of kids TV for the entire CBC run of Mr. Dressup. ‘He just appealed to each and every child’s creativity with a quiet half-hour of imaginative play,’ MacKinnon says. Once, when a visit to the Tickle Trunk had Coombs pretending to be a lizard, a CBC cameraman asked at a break: ‘Don’t you feel stupid doing that?’ Coombs, ever down-to-earth, responded that he’d done what any father did with his kids in Canadian homes countrywide. Off the set, Coombs cut and weeded his suburban Toronto lawn like most dads, and MacKinnon recalls no lavish upbringing. But she remembers as a young girl the delight of riding in a parade car alongside her beaming father during a Mr. Dressup tour in British Columbia. 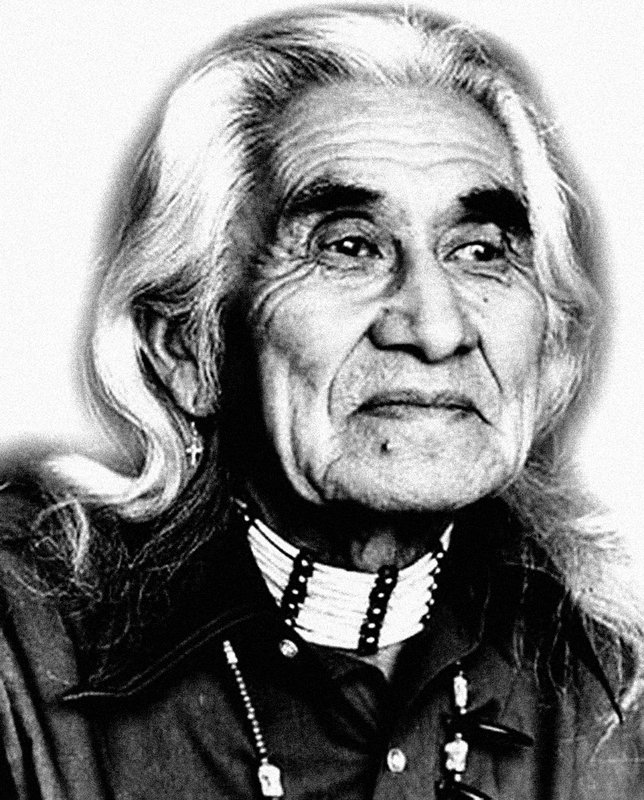 Coombs’ gentle, caring manner extended to how he greeted young Canadians who came up to him on the street – sometimes wondering how he’d gotten out of the TV set – or responded to letters and picture drawings that his young fans sent him. MacKinnon helped manage her father’s office, and recalls telling him she could create a form letter on a computer to help him deal with a tide of monthly fan mail. ‘He said, ‘No, I always make a hand-written reply,” she remembers. That’s the caring, good-natured Ernie Coombs millions of CBC viewers remember – standing at his treehouse to shoot the breeze with Casey and Finnegan, and all the while glancing back with that broad smile to millions of adoring Canadians on the other side of the TV glass.